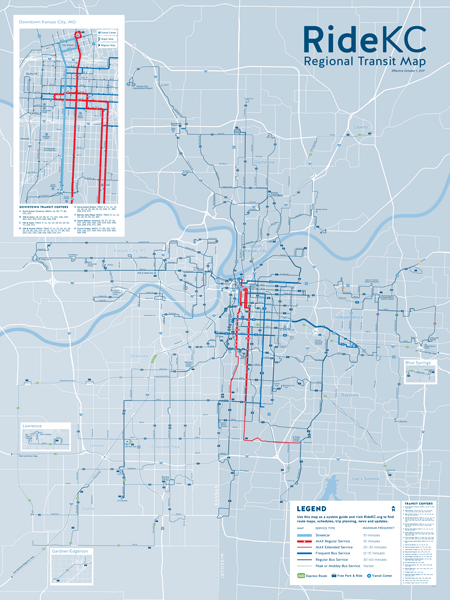 The RideKC System Map is a regional map of transit service showing bus routes and the KC Streetcar. Click on a route or location to find more information. Turn layers on and off within the sidebar. Share or open the map in a new window by clicking the two icons on the right of the top bar. 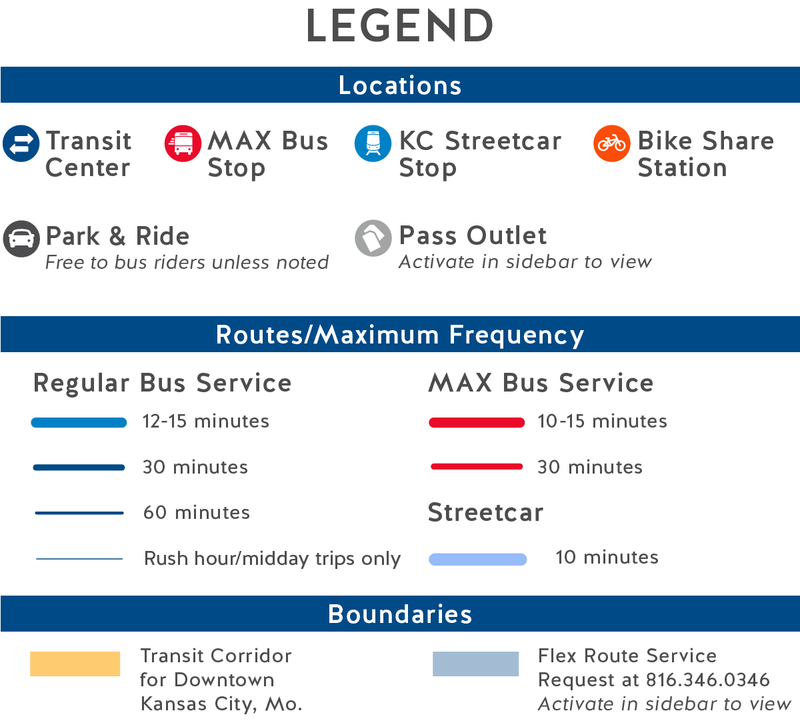 If you have a comment, question or suggestion about the system map, please contact us at wehearyou@kcata.org. Downloadable PDF versions of the full map and downtown map is available near the bottom of this page. The map is available online only. Detailed information about routes and schedules is available in the Maps & Schedules section of this website.